Living in the Silicon Valley lends itself to innovative sightings. 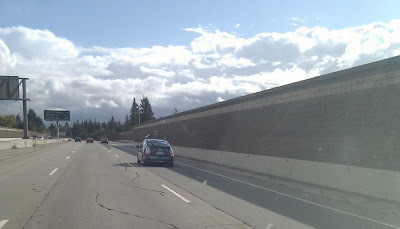 I spotted the Google car that drives itself for the second time while on my way to pick up Blake from preschool. I first saw this car before the project went public and thought it was a Google Maps car. I expected to see one guy driving the car, but when I was next to it I laughed because there was the driver plus three engineers squished into the back of the Prius taking vigorous notes (or doing whatever Google engineers do).